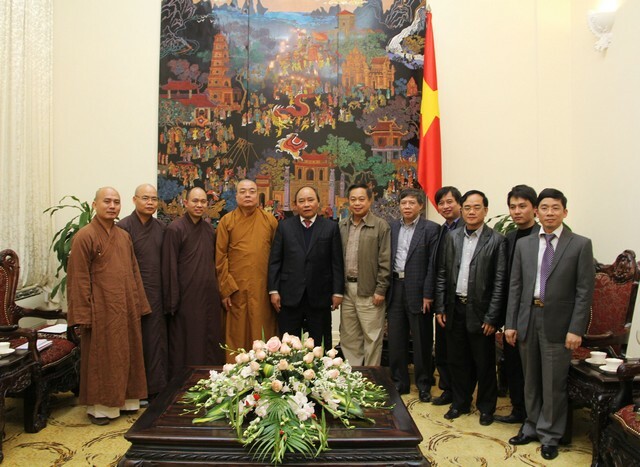 On February 12, lunar year ( March 12, 2014), the delegation of National Vietnam Buddhist Sangha came to Government Office regards on the preparation of the UN Vesak held in 2014. Delegation was led by Ven. 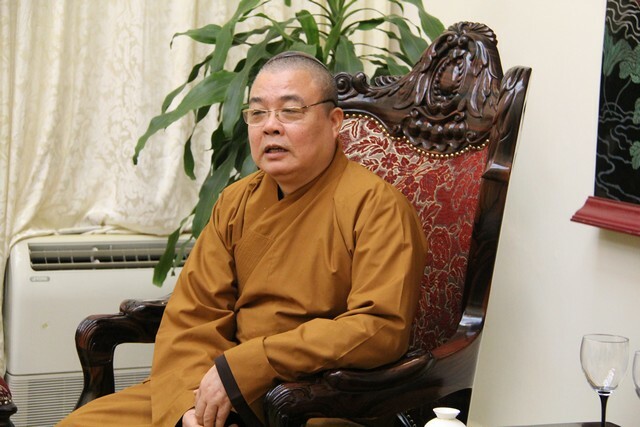 Thich Thanh Nhieu - the Chairman of ICDV-UNDV2014 International Organizing Committee and Standing Vice President of National Vietnam Buddhist Sangha, along with Ven. 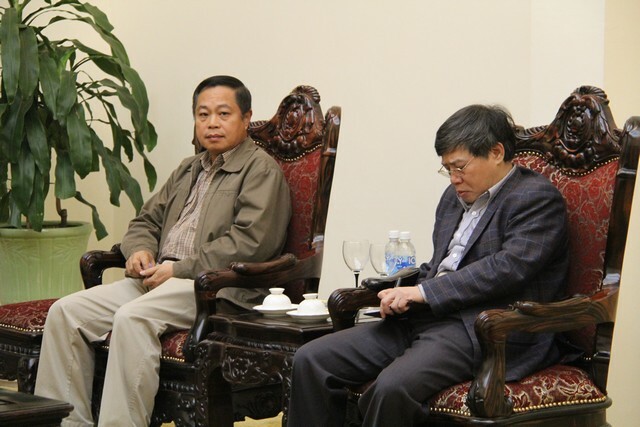 Thich Duc Thien – Deputy Secretary General of NVBS, Ven. 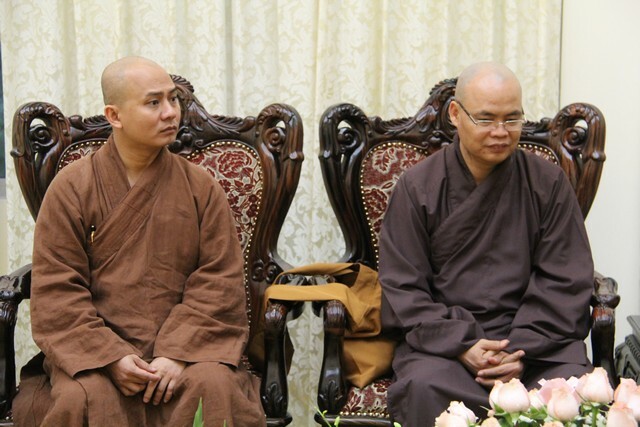 Thich Thanh Phong – Commisery of National Vietnam Buddhist Sangha and Chief of Finance Committee, Ven. Thich Dong Ngo – Vice Standing President of Finance Committee Department. NVBS successfully organized UN Vesak in 2008 by supporitng of Governemt. After getting approval of Prime Minister, NVBS will host UN Vesak 2014 at Bai Dinh, Ninh Binh province with coordination of ICDV and Government by Socialization Funding. Vesak Celebration will be taken place from May 8 – 10 with 10,000 participants from 95 countries including 1,000 official delegates. At meeting with Deputy Prime Minister, Ven. 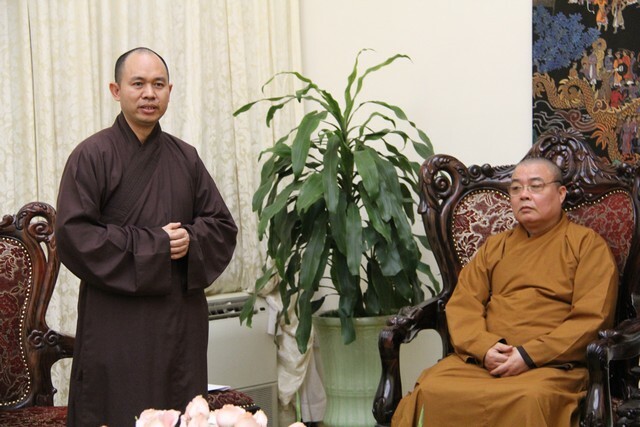 Thich Duc Thien – Representativ of NVBS reported preparation of UN Vesak 2014. The main perception of Vesak Celebration is “ Buddhism contribute millenium development in United Nation” – they symbolize for internation issues. The purpose and meaning of host Vesak Celebration 2014 define development and key role of NVBS during 30 years international Buddhist intergration. Besides that, we confirm our independence and religion right in Vietnam. 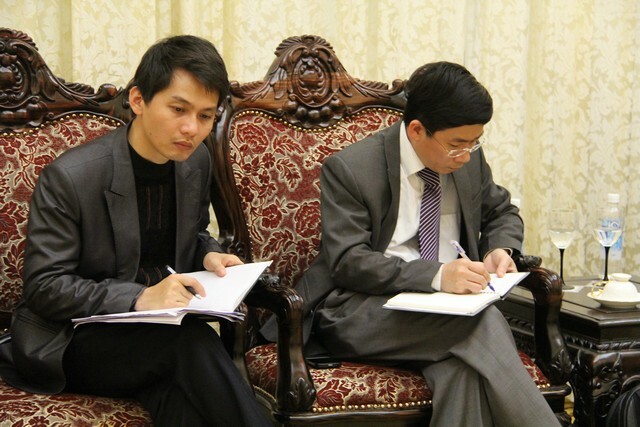 This is very important foreign event and shows Vietnamese government responsibilty to United Nations. Besides that, we wish world friends have chances to understand culture, people in Vietnam. With meaningful message, NVBS commit to successfully host in this special event. 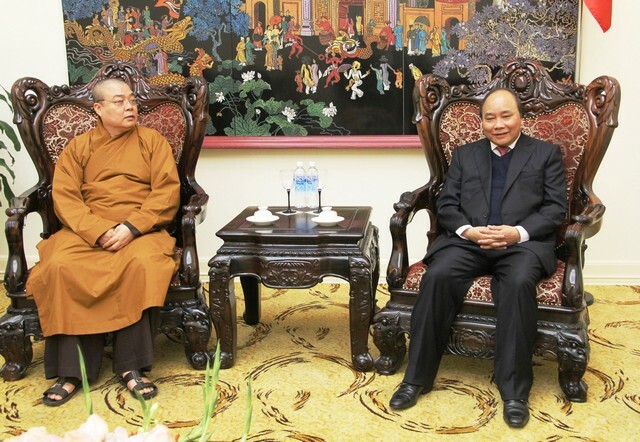 Deputy Prime Minister – Nguyen Xuan Phuc express Vietnam hosts Vesak Celebration bring a lot of key messages and hornor to Vietnam. He also gave advice to co-operate with Religion Government Department to fulfill preparation, detail script for every contents, programs, activities during Vesak Celebration. 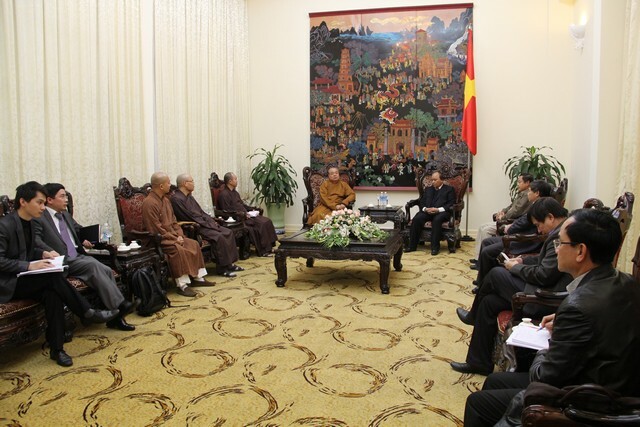 Because of short time, Deputy Prime Minister expects NBVS will well fulfill assignment, especially ensure safety for international monks, nuns and guests.